Last Thursday, I went to Fig & Olive: Meatpacking District with a couple of friends after work to try out their recent launch of the Apertivo & Cicchetti hours. Think of this as the typical Happy Hour except it has a Mediterranean accent with a few complimentary items. The space here is huge and airy from the high ceilings and it feels relaxing even though you’re steps away to the nearest club. Apertivo is available daily from 5 PM to 7 PM and it includes specially priced cocktails, wine, beer from $7-10 with complimentary summertime snacks. 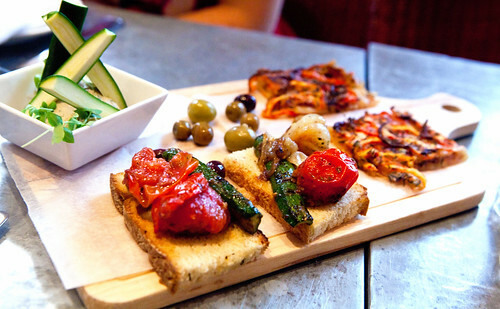 The Cicchetti menu is a succinct menu of crostini, cheeses, and olives to graze on if you want to eat a little more. 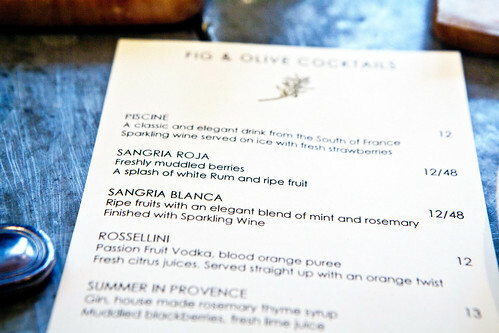 The photos above give you some indication as to what is served from the Apertivo specials. When you come in during the hours on Thursdays, Fig & Olive would provide you a complimentary glass of Chateau Léoube Rosé and a board of filled with crostini, roasted vegetable focaccia, olives, and crudite with vegetable dip. 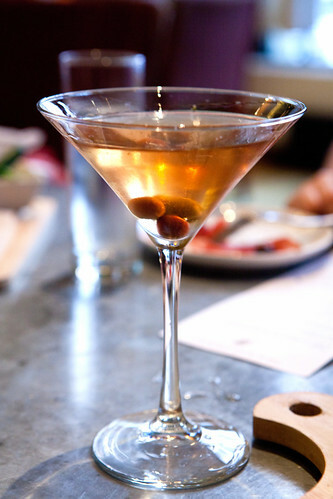 The Dirty Martini would normally cost you $16, would now cost you $10 during Apertivo. 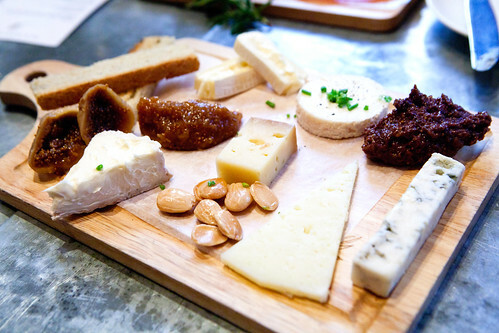 What appealed to me the most from the Ciccheti menu was their cheese board ($19). It contains walnut tapenade, Marcona almonds, dried figs, a velvety Fromage de Chevre, semi-pungent Gorgonzola Dolce, mild and creamy Robiola, nutty Fontina, Manchego, and my favorite – the decadent triple creme Pierre Robert. The other item of interest was the board of jamón ibérico and pan con tomate ($24). 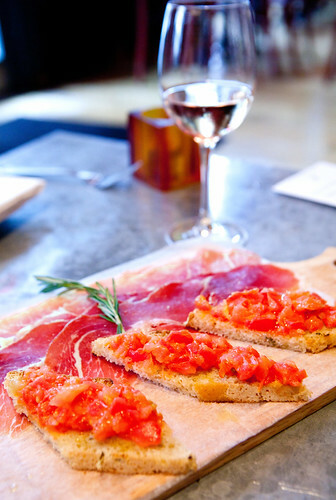 You can’t go wrong with silky Spanish ham and crisp bread topped with sweet tomatoes. 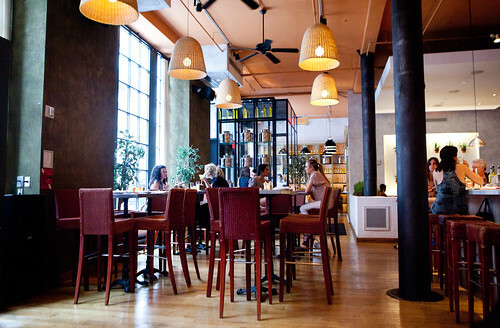 This is not a bad place to drop in for an upscale pregaming, a stop before dinner and/or partying. For more photos of my visit here, please scroll through my slideshow below. Please do note that the other cocktails are not on the Apertivo special and cost $10-$13. Between 9th Ave. & Washington St.